When talking of indigenous sportscars in India, we don’t have many examples to count except for maybe the DC Avanti. However, the list saw a new entrant in 2016, when Shadhid Haq of Motormind Design fame showcased the Hyperion-1 sportscar at the Delhi Auto Expo. 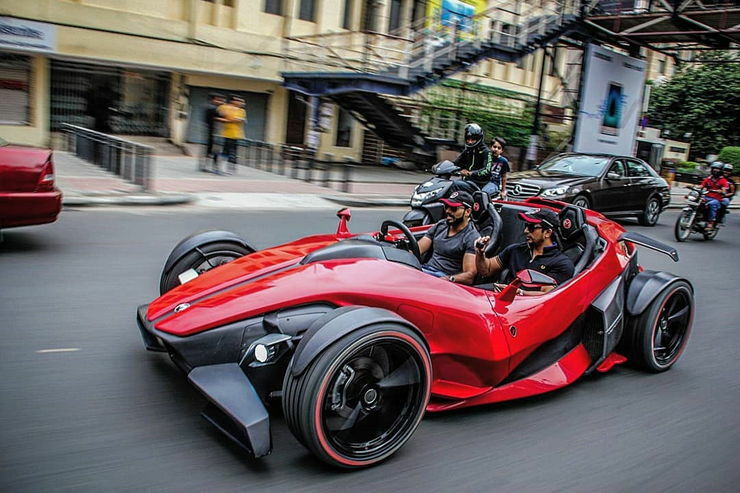 It was India’s answer to the likes of KTM X-Bow and the Ariel Atom. The Hyperion looks as sharp as a razor and has a design so radical that people gawked at it like anything. 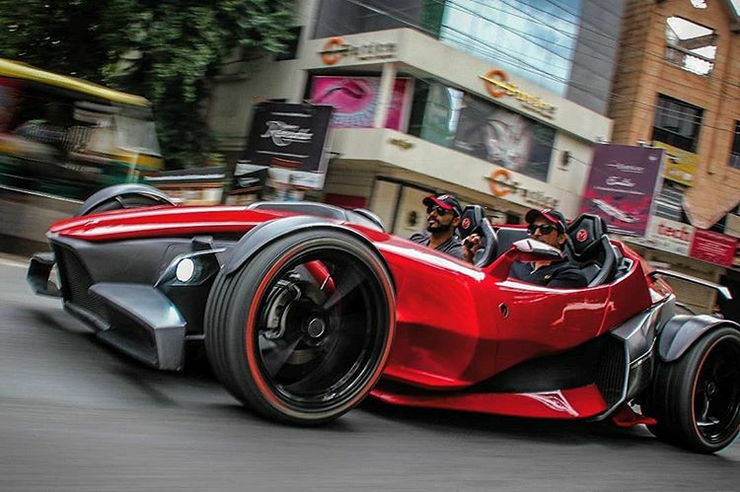 The video below by SupercarsInBangalore shows the Motormind Hyperion-1 in action. Let’s take a look at the video and enjoy the beauty of the car before proceeding further. As seen in the video, the Hyperion 1 not only looks great but has an exhaust note which matches its personality. It is the dream project of Shahid Haq, who is the owner of Bangalore based Motorminds Design. Shahid, who is a graduate from Coventry School of Art and Design, UK, wanted to build a car that would make Indians look away from the international sportscars and attract theirs towards it. It features a design language that is quite sharp and loud and sure to grab attention wherever it goes. The Hyperion 1 features a V6 petrol engine from the Hyundai Sonata which is mounted at the rear. The engine drives the rear wheels and doles out enough power to make it a quick vehicle. According to a recent Instagram post by Shahid, they are working on a new version, or say a facelift of the Hyperion which will be lighter and faster with a host of customizable options along with other creature comforts. He expects to start taking orders by 2020 and the final pricing to be out by the end of this year. As for the question that whether its road legal or not, currently it is in a prototype stage and so it has not been licensed. The company is working to get the required government permission to make it road legal. The Hyperion will be a low production model and will come with all the required features to make it road legal. The wild looking two-door sports car contains a twin seat cockpit while the scissor doors add to its design. The final production version of the car could come with features like an entertainment and audio system to make it more user-friendly. When finally launched, the Motorminds Hyperion 1 will rub its shoulders with the DC Avanti, as it is the only other Indian made sportscar yet. However, it will probably cost a lot less than its DC rival and going by the reaction it is getting now, it could be a hit in the market. With aftermarket modifications been banned by the Supreme Court, we expect more such cars to come out and provide some relief to the automotive enthusiast crowd of India.